With pressure to base policies and programs on meticulously collected data, there is a need to make USAID funded Monitoring and Evaluation to Assess and Use Results Demographic and Health Surveys (MEASURE DHS) reports more readily available. However, many developing countries have no access to a tangible library of DHS reports, nor a reliable internet connection to visit the MEASURE DHS website to access these surveys. Luckily, the rapid increase in the mobile phone and smartphone usage has given the MEASURE DHS team hope. The popularity of these devices can grant anyone access to DHS reports, from policy makers in Washington, D.C. to remote communities in rural Africa. In fact, according to Pingdom’s STATcounter, 15% of Africa’s internet browsing in May 2012 came from mobile devices, an increase of more than 150% from 2010. With the help of MEASURE DHS technology partner, Blue Raster, the DHS Mobile application was developed. 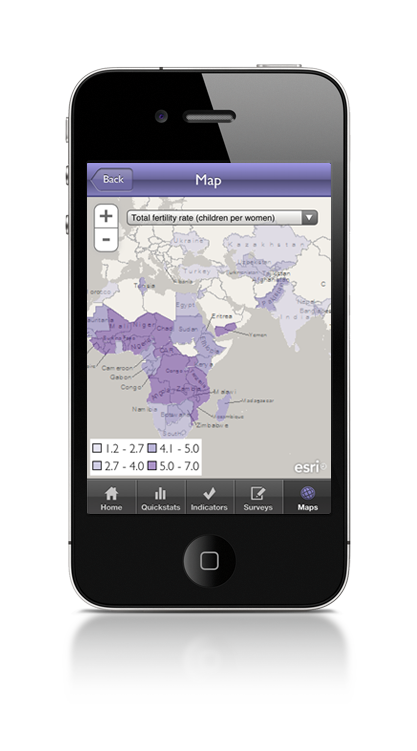 MEASURE DHS mobile covers over ninety countries, including data on vaccination, childhood mortality, nutrition, HIV testing and prevalence, literacy rates, twenty other indicators. 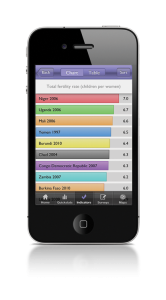 It displays trends within a single country through Quickstats, and allows users to compare and contrast the most common indicators through a series of tables, charts and maps. It also provides basic information about the individual surveys, such as sample size, timing, and topics included, and links to download the final reports, Key Findings, and fact sheets. 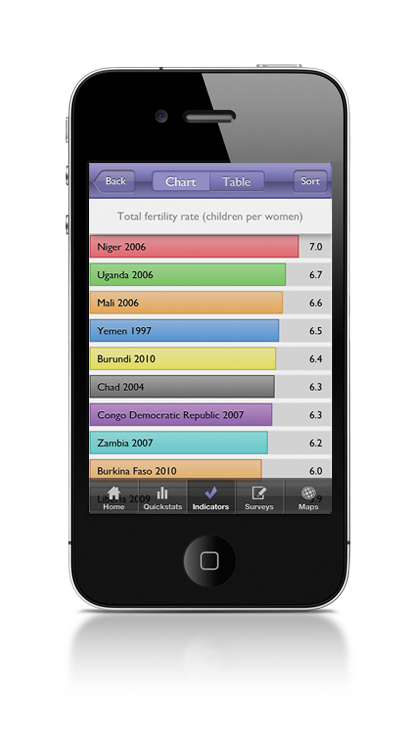 The app also stores all the indicator and survey data locally on the device, and periodically checks for updates. This functionality truly enables users to connect with the data, despite the absence of consistent internet, and allows policymakers and program managers to visit field sites without having to create massive, tangible copies of data or abandon the data completely. The DHS mobile application is free and available for Apple iOS (iPhone and iPad) and Android smartphones and tablets. Blue Raster will work with the MEASURE DHS team to enhance the application with new features and continue to improve the user experience in the coming months. For suggestions in improving the DHS Mobile application, please email mobile@measuredhs.com.